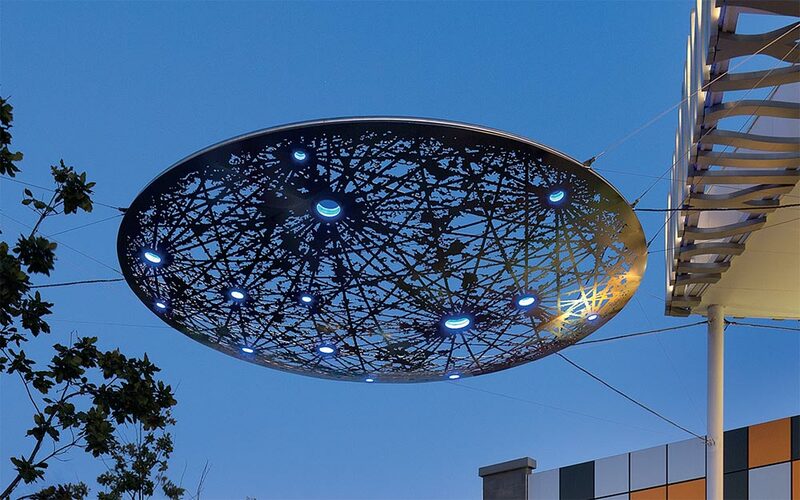 Cable Suspended Sculpture – "Under the Sun"
We complete lots of cable structures around the globe, but the ones we love the best are those that reflect a sense of belonging within their surrounding environment. 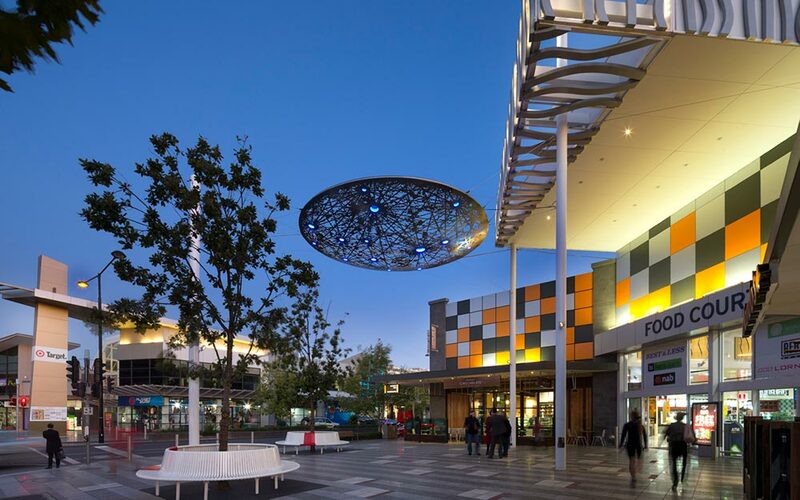 When Melbourne Artists Robert Owen and Joanna Buckley unveiled a public commission at the Point Cook Town Centre for developer, Stockland, Places Victoria and the Wyndham City Council in May 2014, we felt we had to feature it. The title of the work, ‘Under the Sun’, engages the interplay of light, space and time between earth, moon and sun, offering a profound reminder of our mysterious broader environment. ‘Under the Sun’ pays homage to this relationship, metaphorically bringing the moon closer to the ground plane to frame its distant mirrored self at night. During the day the suspended sculpture casts a filigree shadow on the ground and all those passing below. 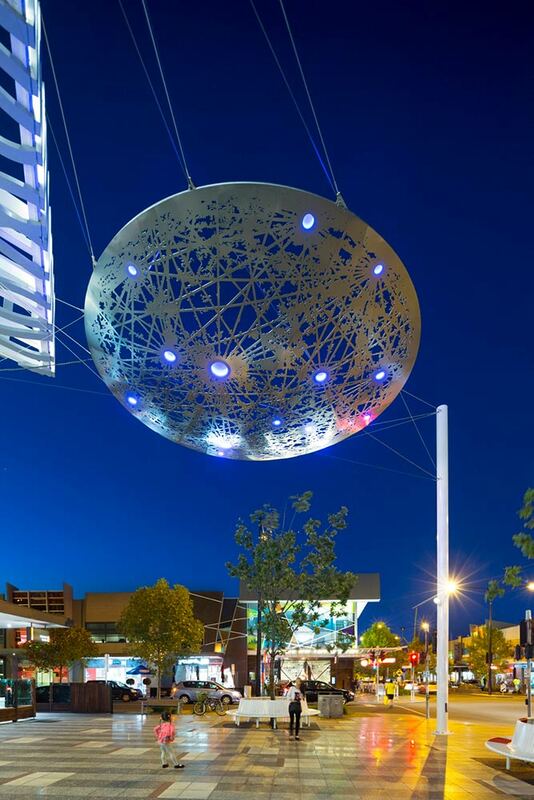 As the main feature of a mall entry, the intent of the suspended sculpture was to provide a vehicle to create and enhance new meanings to the site and its environment. It reinterprets nature and draws focus from our constructed world and the tightly determined space of transit, towards a connection to the sky and contemplation of our broader reality. The project uses Ronstan ACS2 stainless steel cables of diameters 4mm, 7mm and 10mm to suspend the sculpture between the building and masts. 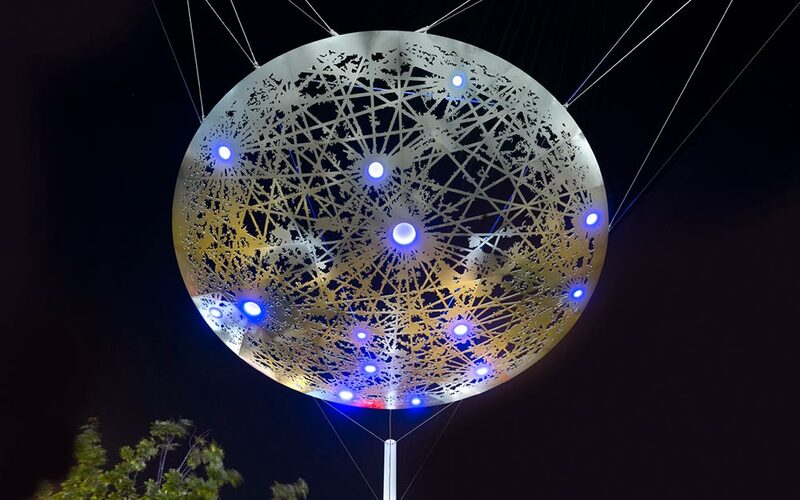 In addition to the manufacture of cables, our scope included the structural design of cable support structure, installation of the foundations, masts and brackets as well as the lifting and suspension of the sculpture itself.